When he was reduced to half pay in 1816, Horne immediately began his career as a printer and publisher. That December he printed the constitution of the Bible and Common Prayer Book Society of Upper Canada, of which he had been a founding member in York on the 3rd of that month. 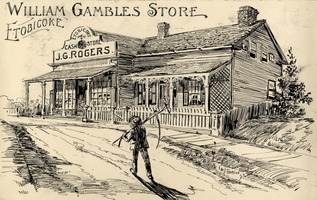 Soon after his first booklet was printed, Horne also became king’s printer and the proprietor of the official provincial newspaper, the York Gazette, which had fallen on hard times. Its press had been damaged or destroyed when the Americans captured York in 1813, and the two publishers who preceded him had served short and ineffective terms. 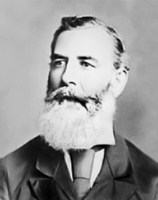 Horne was soon requesting that the government purchase a modern press and adequate supplies of type and that it permit him to raise his fees, which the Executive Council allowed with some qualifications. He also changed the name of the newspaper to the Upper Canada Gazette. Horne’s ready conversion from the army to the printing press, and his apparent success at publishing, suggest some prior experience, perhaps in England, but no evidence has been found to support this speculation. 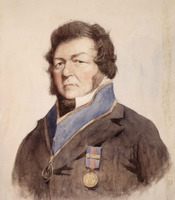 During his years as king’s printer he published several books and pamphlets, including Charles Fothergill’s reply to Robert Gourlay*’s attack in 1818 on Lieutenant Governor Sir Peregrine Maitland*. The following year he began printing John Strachan*’s journal, the Christian Recorder. His tenure was not, however, without unhappy incidents. In 1818 he was called before the bar of the house to explain “acknowledging himself the author” in an advertisement for the provincial statutes in the Gazette on 19 March. Horne attended, admitted his guilt, and apologized. About 1820, he hired Francis Collins*, a printer, and early in 1821 deputed him to report the House of Assembly debates for the Gazette. The government disagreed with an apparent slanting of these reports and on 9 Feb. 1821 summoned Horne again to the bar of the house, where apparently he excused himself on the grounds that he had not reported the debates himself. He escaped with only a sharp reprimand after making humble apology. Soon after, Maitland refused to allow Horne to publish reports of the debates in the Gazette. On 1 March Horne began the York Weekly Post, an adjunct to the Gazette which he used to report the debates. Late that year Horne resigned his position as king’s printer, describing himself as being “disgusted with a situation always peculiarly anxious and disagreeable.” On 1 Jan. 1822 he was succeeded by Charles Fothergill; Collins, who applied for the post, was snubbed. 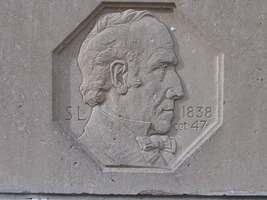 When Horne left the publishing business in 1822, he became chief teller to the newly founded Bank of Upper Canada. He had no obvious qualifications for the post but he apparently gave satisfaction since he continued in it for the remainder of his life. It is at least possible that an initial assistance to him was the fact that his wife and the wife of William Allan*, president of the bank, were sisters; Horne had also been an incorporator of the new bank. Little is known of Horne’s activities with the bank, whose chief and most visible officer was Thomas Gibbs Ridout*, the cashier. But as a conservative individual he would have been comfortable in this “family compact”–controlled environment. His conservative stance is easily proven by his inclusion in the long list of those attacked by William Lyon Mackenzie*. Even more indicative of Mackenzie’s antipathy for Horne was the arson committed personally by the former on Horne’s home during the rebellion of 1837. 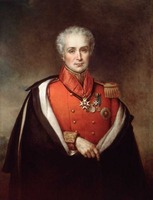 Horne, an active and resolute tory, had purportedly refused Mackenzie some of the services of the Bank of Upper Canada and had expressed contempt for him. On 5 Dec. 1837 Mackenzie interrupted his march to Toronto to go to Horne’s home on Yonge Street just north of Bloor; he entered uninvited, abused those who were there, and set fire to the house with his own hands. Mrs Horne had to flee with her children through the snow and, according to author William Canniff*, thereby contracted a condition that affected her health permanently. 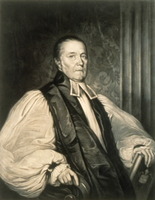 Historian John Charles Dent* has suggested that Mackenzie was deranged at the time. Certainly the act seems to have helped to turn against him many who previously had been uncertain in their allegiance. On 23 Feb. 1839 a special commission recommended that Horne be reimbursed £2,127 18s. 9d. for his losses. Horne’s last public act that has come to light took the form of a long letter written on 26 June 1841 to the mayor of Toronto, George Monro*, concerning “the Mayor’s recent Proclamation on the subject of nuisances.” In it, Horne suggested remedies for some “nuisances” – tanneries in populous areas; dirty, cluttered, poorly maintained streets; soapsuds thrown into the street that “accumulate in pools, deepened by the feet of cattle and the wallowing of pigs, and become exceedingly offensive.” To the end, the man remained the doctor, and sought to improve public health. AO, MS 78, John Strachan to Macaulay, 25 Feb. 1819; RG 22, ser.305. CTA, RG 1, B, R. C. Horne to Mayor [George Monro], 26 June 1841 (mfm. at AO). PAC, RG 1, E3, 10: 99–114; 60: 240–50; RG 5, A1: 10565–66; RG 8, I (C ser. ), 84: 209; 289: 52–53; 1168: 99; 1169: 106. Colonial Advocate, 18, 27 May 1824. Upper Canada Gazette, December 1816–December 1821. York Weekly Post, 22 Feb.–26 Dec. 1821. William Johnston, Roll of commissioned officers in the medical service of the British army . . . (Aberdeen, Scot., 1917). 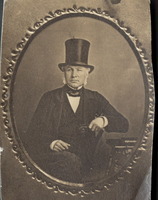 William Kingsford, The early bibliography of the province of Ontario . . . (Toronto and Montreal, 1892). Canniff, Medical profession in U.C. J. C. Dent, The story of the Upper Canadian rebellion; largely derived from original sources and documents (2v., Toronto, 1885). E. C. Guillet, “Pioneer banking in Ontario: the Bank of Upper Canada, 1822–1866,” Canadian Paper Money Journal (Toronto), 14 (1978): 9–18. Charles G. Roland, “HORNE, ROBERT CHARLES,” in Dictionary of Canadian Biography, vol. 7, University of Toronto/Université Laval, 2003–, accessed April 25, 2019, http://www.biographi.ca/en/bio/horne_robert_charles_7E.html.